Enjoy the white sands and clear waters of Cancun for 7 nights in deluxe accommodations! 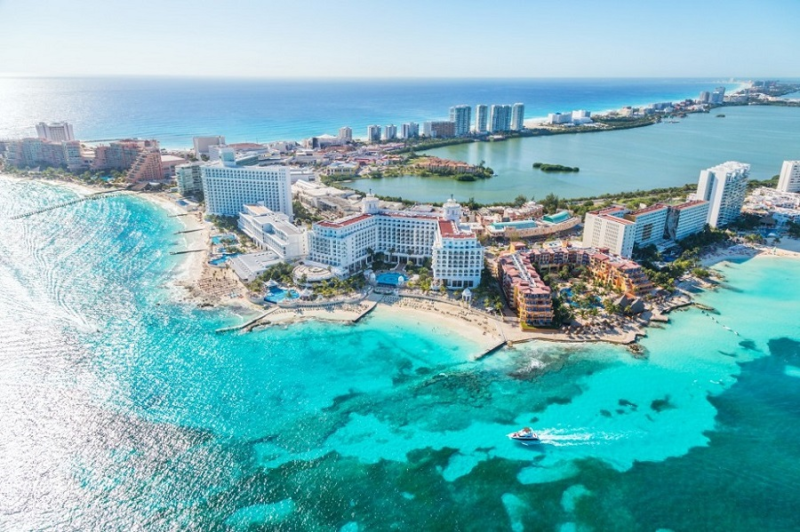 Cancún, a Mexican city on the Yucatán Peninsula bordering the Caribbean Sea is known for its beaches, numerous resorts and nightlife, with several distinct areas to travel - Hotel Zone, Riviera Maya, and Playa Carmen. shopping, endless entertainment options, and five-star dining. Airfare & Meals are not included with this package. Reservations must be made sixty (60) days in advance. Black Out dates include holiday periods and spring break are not available. Travel during holiday periods and spring break are available as an upgrade. Group or family travel is also available as an upgrade. *** This covers all meals, snacks, drinks, beer, wine, cocktails, non-motorized activities, and gratuities. Your Charity Travel Package certificate of redemption will be emailed to you. Please allow 30 days for your certificate of redemption to be delivered from the time payment is received. You will need your certificate of redemption when contacting our concierge department for booking your travel. Travel needs to be booked within one year and traveled within two years. All certificates should be handled with care as they are the same as cash and non-refundable. This package cannot be resold. Travel must be booked a minimum of 60 days in advance and reservations are subject to availability. For more information, contact Charity Travel Packages/BW Unlimited Charity Fundraising at 443-206-6121.